NRI Investment in India – Can NRIs Invest in Mutual Funds in India? However, NRIs would have to comply with all regulatory requirements such as completion of KYC before investing. It should however be noted that a few countries such as US and Canada have restricted investments by NRIs in Mutual Funds without relevant disclosures. NRIs from these countries, thus need to check once with their advisor on feasibility of investing in Indian funds before actually investing. 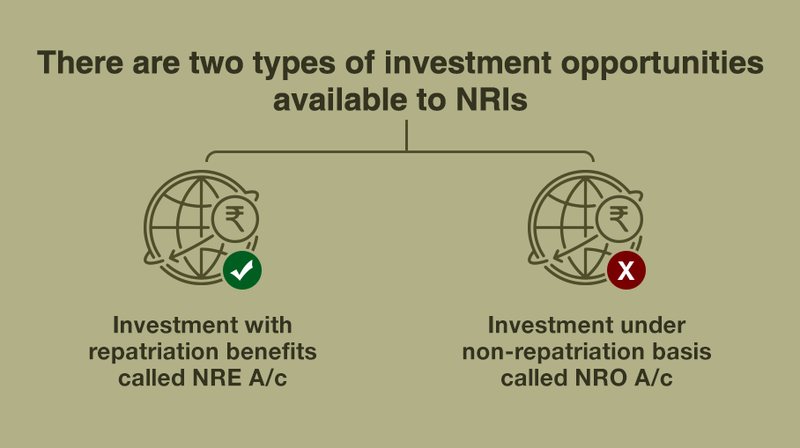 NRIs are provided most of the benefits and conveniences of resident Indian investors while investing. They can invest through SIPs, they can switch as per their convenience, they can opt for growth or dividend options and can repatriate the redemption proceeds whenever they want to. Thus NRIs and PIOs can invest and enjoy the full benefit of investing in a wide variety of Indian Mutual Fund schemes.